After the Goodwill Gods blessed me with a $15 Campaign dresser, I decided to test my luck at another thrift store (Saver's). And, spoiler alert, I struck gold! 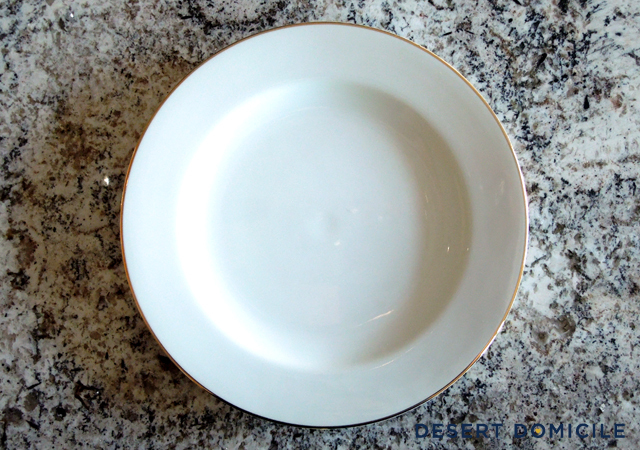 While browsing the various aisles of chotchkies and other miscellaneous knick knacks, I saw a simple white dinner plate with a thin line of gold banding around the edges on top of a stack of similar plates that had silver banding instead of gold. 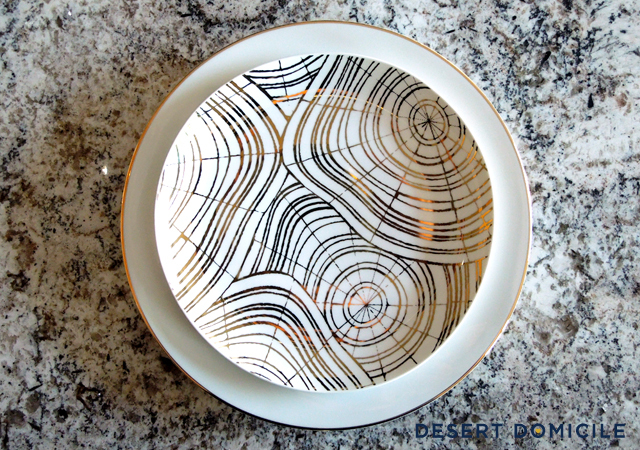 I liked the plate but wanted more than one so I continued to browse around until I stumbled upon a stack of 7 more of the same gold banded plates hidden behind some other stacked dinnerware. I set the 8th one on top of the other 7 and continued to browse around the rest of the store while I tried to Google the information that was on the bottom of the plate. 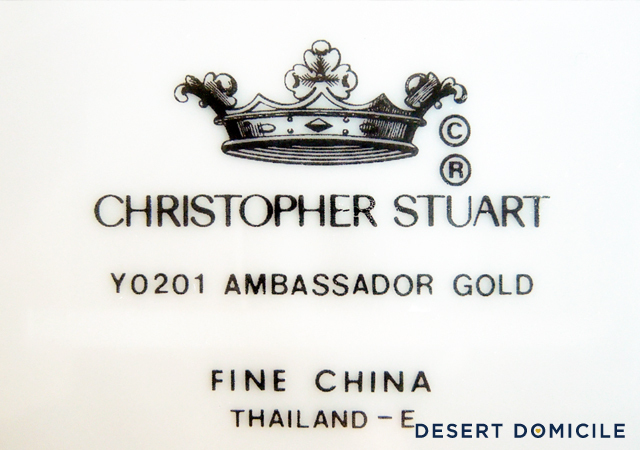 The plates are made by Christopher Stuart and they're part of his "Ambassador Gold" china collection. Doesn't that sound fancy? My quick in-store Google search didn't bring up any pricing information but it didn't matter because I liked the plates so I went back, grabbed the stack and headed to the check out. 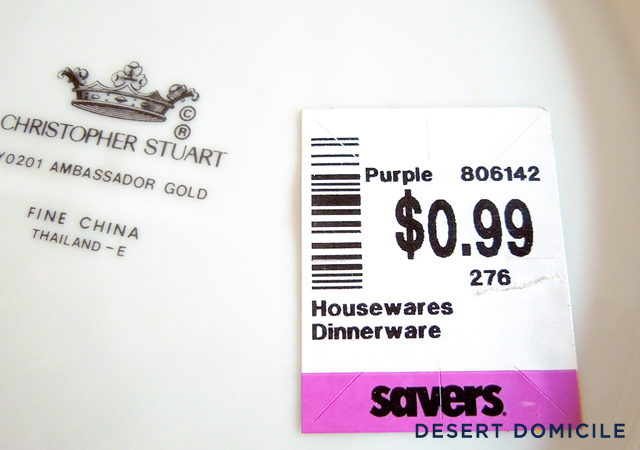 But they had a purple sticker on them and all purple sticker items happened to be 50% off that day so I got them for 50¢ each and ended up paying $4.36 for the set! When I got home, I dove further into my Google search and found out that the plates were sold between 1995 - 2002 and then they were discontinued. 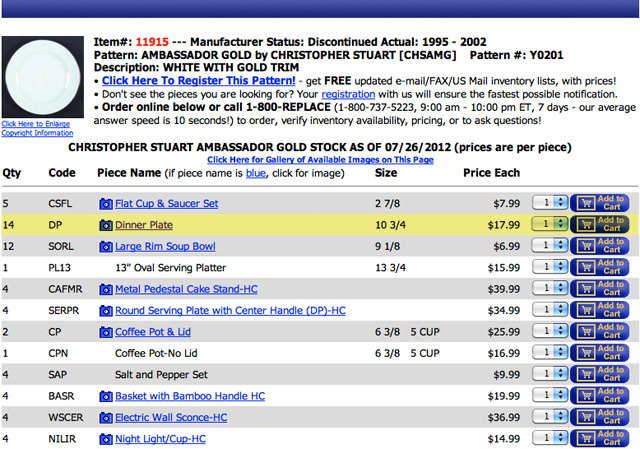 However, you can buy replacements plates but they sell for ... wait for it ... $17.99 EACH!!! $18 A PLATE!!! 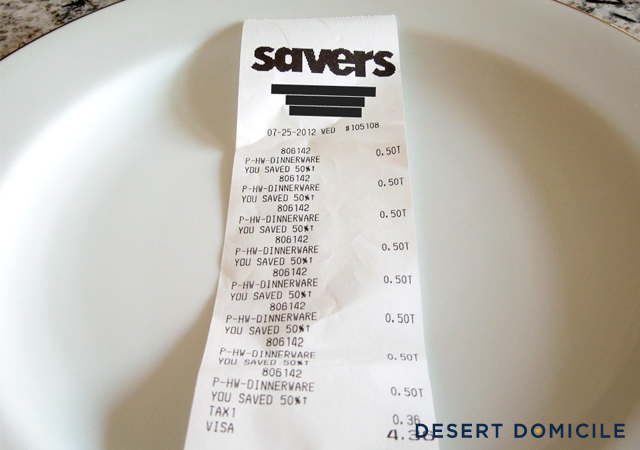 Which means the set of 8 plates that I got for $4.36 would have been $144!!! That's just the replacement cost too which means the retail cost could've been much more than that! Crazy, right?! Based on the years they were sold (1995 - 2002), they're anywhere from 10 - 17 years old (depending on when the previous owner bought them) and they're in pristine condition! Amazing! Have the Thrift Store Gods been good to you lately? What's your favorite thrift store find? Good gosh! What a steal. The plates are lovely on their own, but I freaking LOVE what you're pairing them with. Seriously gorgeous. Love it! I also can't help my self but do a little research when I find something old! I swear. I'm going to smack you if you don't stop. You're on FIRE, my friend. 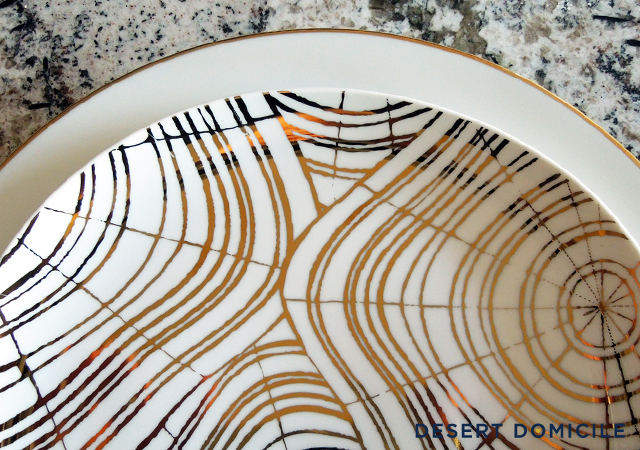 I absolutely love how they look with the West Elm plates. Crystal - I never used to research stuff but I'm definitely going to start now!